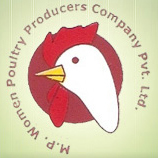 The MPWPCL is a federation of ten poultry producer cooperatives comprising of more than 5,000 women members from low-income tribal communities in Madhya Pradesh. The MPWPCL provides services including production support, inputs, advisory services and marketing for its members, empowering them through livelihood creation in small holder poultry. In addition to ensuring regular income by sharing all benefits among its members, the MPWPCL also assists its members in accessing loans.